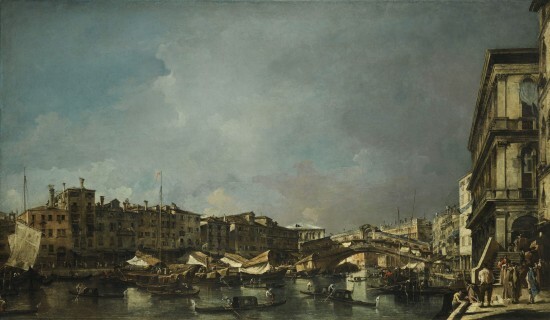 A masterpiece by Guardi at Sotheby's. (click on image to enlarge) UPDATE: IT MADE A RECORD £26,697,250. A masterpiece of Venetian art is to be sold at Sotheby’s in London on July 6. Francesco Guardi’s Venice, Looking North, from the Fondamenta del Carbon is estimated to make in the region of £20 million. Monumental in scale (it measures 45¼ by 78½ inches) it is one of four works Guardi painted of this size. All were executed at around the same time in the late 1760’s. They are generally considered to be his greatest work, the fullest expression of his mature style. One of the four was destroyed by fire in the mid-20th century. The last in the group was sold by Sotheby’s in 1989 for almost £10 million – then the second highest price ever achieved at auction for an Old Master painting and still the record for the artist. UPDATE: IT MADE A RECORD £26,697,250. The largest known Mughal painting is to be offered at Bonhams on April 5 for an estimated price of upwards of £1m. The portrait of the Mughal Emperor Jahangir who ruled India 1605-1627 is in the style of a European portrait of the early 17th century. Jahangir was the father of Shah Jehan, under whose rule Mughal art and architecture reached their zenith. He ordered the construction of the Taj Mahal, Jahangir mausoleum and Shalimar Gardens in Lahore. 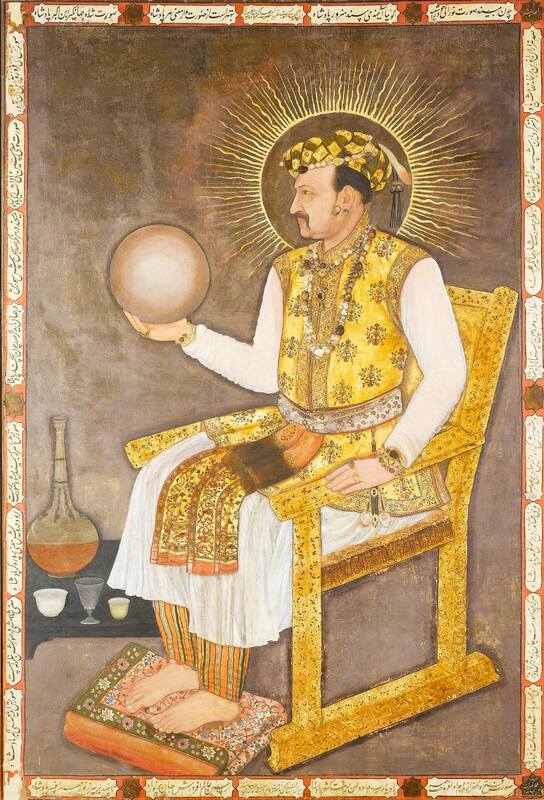 The portrat of Jahangir is attributed to the Mughal artist Abul Hasan, Nadir al-Zaman or “Wonder of the Age”. It was shown at England’s National Portrait Gallery in an exhibition on the Indian Portrait in 2010. UPDATE: It sold for £1,420,000 and was bought by a Middle Eastern museum. 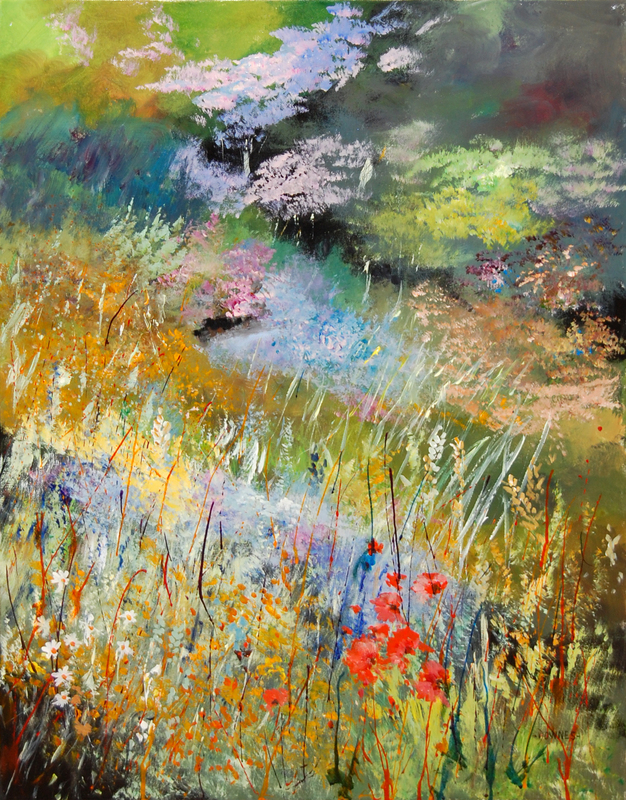 Bog Pool is the title of this acrylic work by the Cork artist Michael Downes. The artist is inspired by the effects of light. 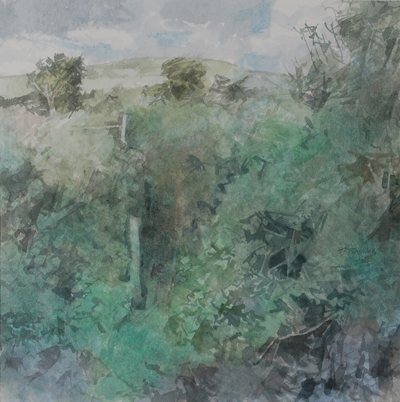 The way in which light moves on the Irish landscape is a particular feature of his work. A director of the Crawford Gallery in Cork his solo show at the Kenny Gallery in Galway until March 10 has proved to be popular. The Limerick Silver bowl by John Robinson. A Limerick silver bowl by John Robinson, made c1735 and stamped with the Arms of Molloy sold for 20,000 after the inaugural sale at Limerick Auction Rooms. The highlight of this first sale in Limerick, which up to now has not had its own auction rooms, was a collection of Provincial Irish silver. There was some disappointment during the sale when the main pieces, a rare Queen Anne Kinsale cup circa 1710 by J&W Wall and the Limerick bowl failed to find buyers. 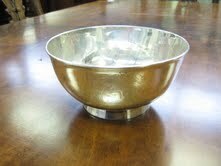 The bowl was estimated at 20,00-25,000, the cup at 40,000-50,000. The Kinsale silver had attracted interest from around the country and the auctioneers even had an active bidder from a Boston museum. It is now under active negotiation. A Limerick silver serving spoon by Patrick Connell sold for 1,000. The bowl was bought by a private collector in Kildare with Limerick connections. The Limerick sale demonstrated considerable local interest. 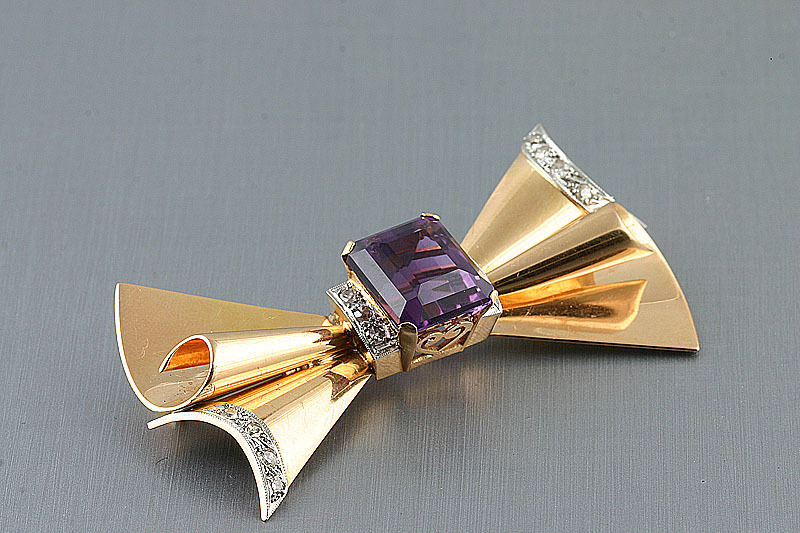 It also underlines how potential collectors need to accustom themselves to buying at auction. There were large numbers at the viewing and the sale. Buyers were hesitant during the auction. This changed afterwards. The organisers were busy with buyers for several hours after the auction ended and a further 30 lots sold on the day after the sale. See antiquesandartireland.com post for February 14. 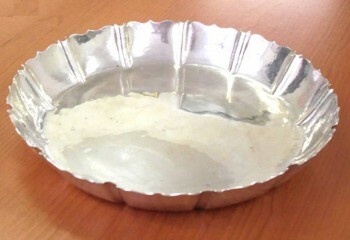 A Cork Republican Silver strawberry dish is to be the centrepiece of the Woodwards spring auction on April 6. The rarity of Cork Republican Silver is such that only about 60 to 80 pieces are thought to have been made. All were fashioned during the Irish Civil War period from July to September 1922. The Irish Civil War was raging and communication between the cities of Cork and Dublin was cut off. Cork was held by Republicans, Dublin by the Free State troops. Unable to send their silver to the Assay Office in Dublin yet determined to keep their silversmiths employed the venerable Cork firm of William Egan and Sons made their own stamp The firm had marks engraved, one a castle and the other a ship. It was not unlike the marks used by Cork silversmiths in the 17th and 18th centuries and not too dissimilar to the Coat of Arms of the City of Cork. Silver made at this time in Cork was stamped with these marks and the initials of the firm, “WE”. When the situation became more normal and communications were restored Egans destroyed the Republican marks. Woodwards will offer a Republic Silver strawberry dish, with the sides fluted in thirteen panels with wavy rims, bearing these Republican marks. The dish is eight and a quarter inches in diameter and weighs ten ounces. It is estimated to make 15,000-20,000 euro. UPDATE: It was bid up to 9,500, now under negotiation. 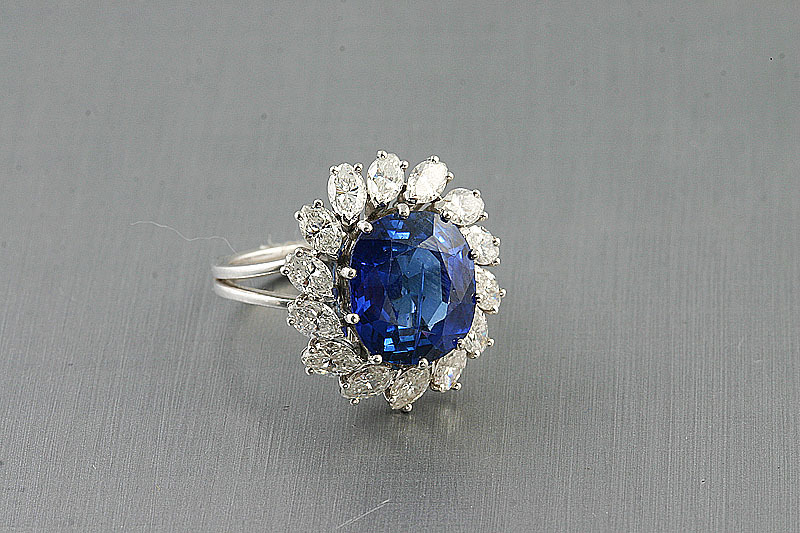 A diamond and sapphire cluster ring. (click on image to enlarge). UPDATE: IT MADE 16,000. These are some of the lots that feature at the O’Reilly’s auction at Francis St., Dublin on Wednesday, March 2. 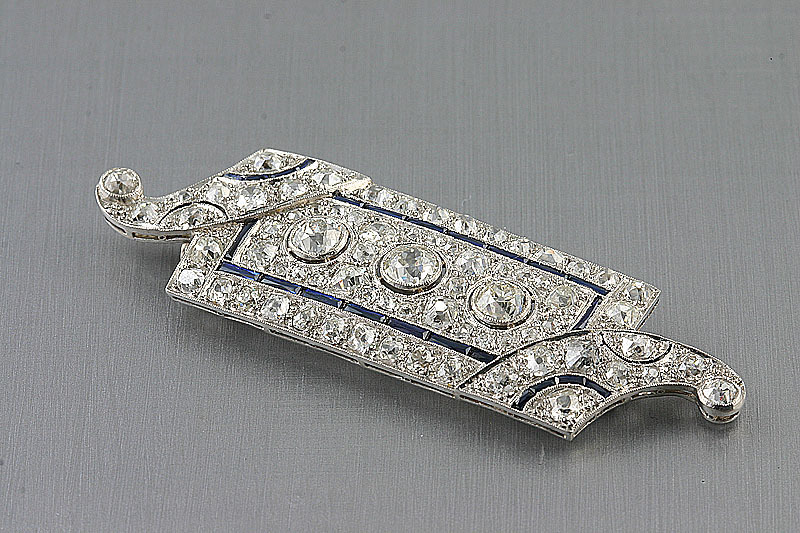 The sapphire and diamond cluster ring is estimated at 17,000-18,000, the target ring is estimated at 6,500-7,500, the amethyst and diamond brooch is estimated at 1,200-1,500 and the Art Deco diamond and sapphire plaque brooch is estimated 4,500-5,000. 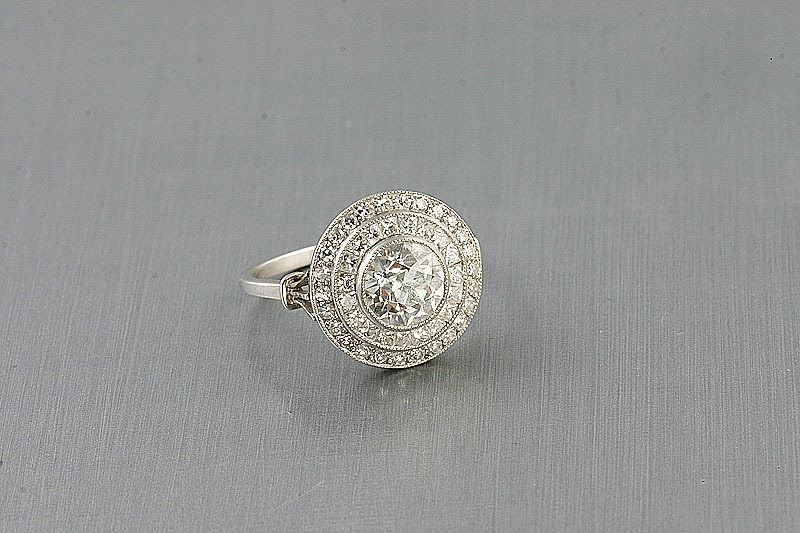 The sale features around 290 lots of jewellery as well as silver and fine art. The death has taken place of the artist T. P. Flanagan. Born in Enniskillen in 1929 he was one of the most important and influential landscape painters of his generation. He once commented that, as a young man, he had hesitated to paint the Irish landscape because so many artists such as Paul Henry, J. H. Craig and Frank McKelvey had put such an indelible stamp upon it that there was nothing more to be said. Yet he put his own stamp on the landscapes of counties Fermanagh and Sligo. Flanagan worked thematically, a device that enabled him to present his subjects from more than one point of view. This gives an image not just of his subjects but of his relationship to them and his feelings. In 1995 the Ulster Museum held a retrospective exhibition of Flanagan’s career. That show travelled to the Hugh Lane Gallery in Dublin and Fermanagh County Museum in Enniskillen. He studied painting and etching at the then Belfast College of Art from 1949 to 1953 alongside fellow students like Basil Blackshaw and Kenneth Jamison. He worked both as a teacher and a painter for many years. 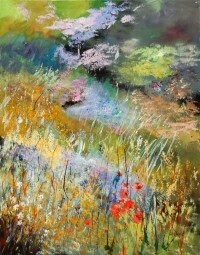 His work has been exhibited widely in one-man and group exhibitions in Ireland and abroad. He was an academician of the Royal Hibernian Academy and a Past President of the Royal Ulster Academy. T.P. Flanagan is represented by the Taylor Galleries in Dublin. A brace of portraits by Patrick Hennessy RHA (1915-1980) grace Whyte’s Irish and British art sale at the RDS in Dublin on March 14. One is a self portrait from 1936 exhibited at a Birmingham exhibition sponsored by Winsor and Newton Ltd. It is inscribed with an exhibition label with the artist’s address [9 Bridge Street, Arbroath, Angus] and price [£7-7-0] on reverse. It is now estimated at €2,500-€3,500. 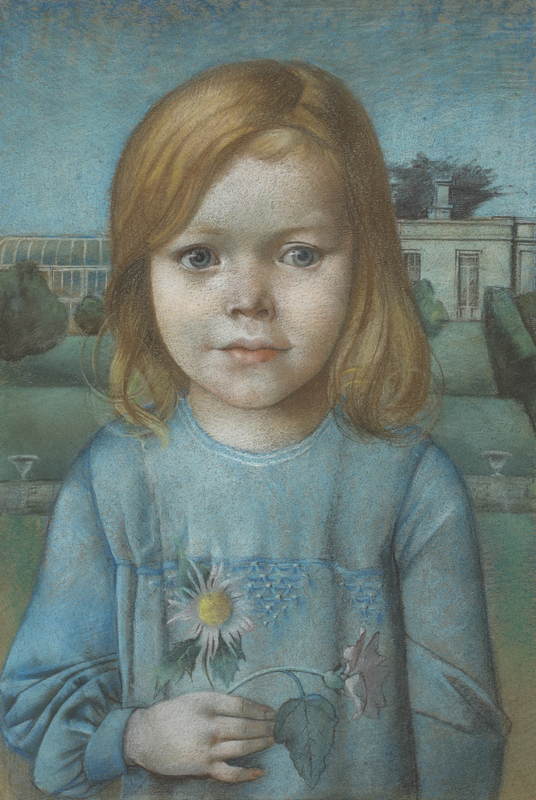 The second is a 1939 portrait of Liv Hempel, daughter of the German Ambassador to Ireland. It was made at De Vesci Terrace in Dun Laoghaire, the ministerial residence of Eduard Hempel (1887–1972) who was Adolf Hitler’s representative in Dublin between 1937 and 1945. During his eight year tenure Hempel sent thousands of reports to Berlin by telegraph and shortwave radio. He had to surrender the transmitter in December 1943 at the insistence of the Department of External Affairs, and under pressure from the United States and United Kingdom. Hempel was granted asylum in Ireland at the end of the war. He returned to Germany in 1949. This portrait is estimated at €2,000-€3,000. The artist Patrick Hennessy was born in Co. Cork. He won a scholarship to Dundee College of Art and a further scholarship allowed him study in Paris and Rome. 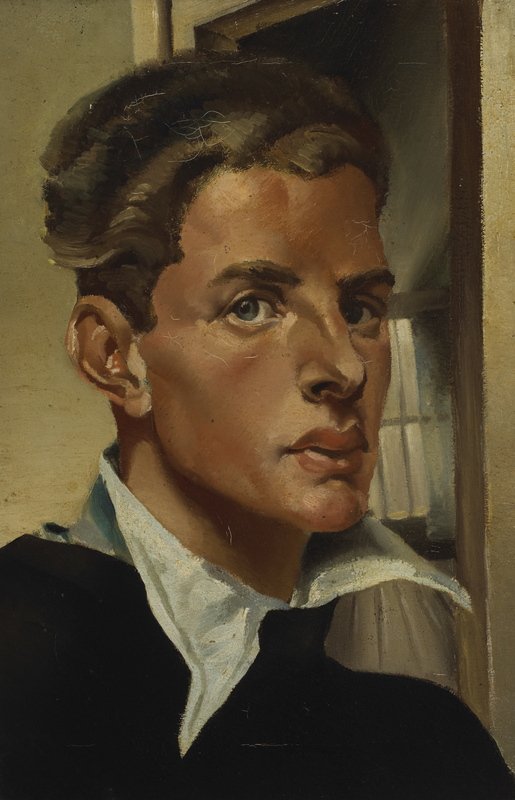 In 1939, he exhibited a self-portrait and a still-life at the Royal Scottish Academy and returned to Ireland as a professional painter, dividing his time between Cork and Dublin. 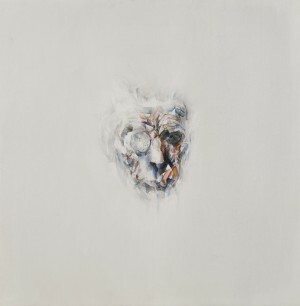 In 1956, Hennessy had his first solo exhibition in London, displaying nearly 40 paintings, including several portraits. In 1957, the Ritchie Hendriks Gallery staged an exhibition of his flower paintings. More shows followed in Dublin, Chicago and Cork. Meantime, Hennessy continued to make trips abroad. He made regular visits to Paris, Normandy, the Dordogne, as well as Belgium, Holland and Spain. He also toured Italy and Greece. Farewell to Ireland by Patrick Hennessy which shows President John F. Kennedy boarding Air Force One at Shannon Airport on June 29th, 1963 after a visit to his ancestral homeland is currently on sale at the M.S. Rau Gallery in New Orleans priced at $98,950. His work is in a number of public and private collections, including: University College, Dublin; Hugh Lane Art Gallery; Irish Museum of Modern Art; National Gallery of Ireland; Office of Public Works; Crawford Art Gallery; Limerick City Art Gallery and Limerick University National Self-Portrait Collection. UPDATE: THE PAINTINGS SOLD FOR 2,200 AND 4,800 RESPECTIVELY. THERE is a stellar line up at Sotheby’s Irish Sale in London on March 29. 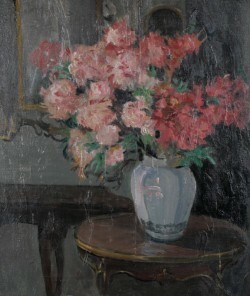 It features rare works never seen on the market before by artists like Sir John Lavery, Roderic O’Conor and Mary Swanzy. There are 13 works by Louis le Brocquy and the sale includes Basil Blackshaw, John Shinnors, William Scott, Colin Middleton and Sean Scully. John Lavery’s portrait of Lady Gwendoline Churchill, A Lady in Brown, is at auction for the first time. It is believed the painting was probably executed in the summer of 1915. O’Conor’s Landscape, Cassis, has re-surfaced from a private American collection and features one of the smaller peaks of the limestone cliffs of Le Cap Canail. Sunlit Landscape by Mary Swanzy is a dazzling modernist piece. It is part of a series of lyrical Provencal cubist landscapes produced following a stay at Grasse in the South of France in the winter of 1926-1927 and is estimated at £60,000-80,000. oil on canvas estimated at £60,000-80,000. There is a group of four still lives by William Scott and the art auction offers a strong selection of contemporary works. 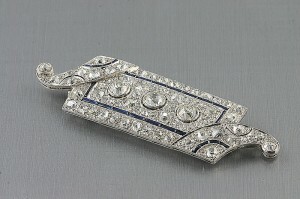 See posts on antiquesandartireland.com for February 16 and February 2. Cherry Brandon (1931-2007) mixed media on silk. (click to enlarge) UPDATE: THIS PIECE DID NOT SELL. Irish women artists Cherry Brandon and Eva Hamilton from successive generations feature at Sheppards two day sale in Durrow, Co. Laois. Brandon, who was based in Co. Laois, worked as a media artist, international textile and fashion designer and illustrator. 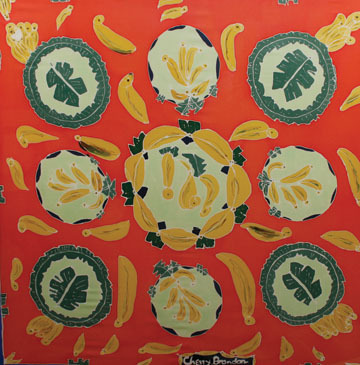 Giorgio Armani was one of the people she worked for and the signed mixed media on silk illustrated on the left from her Banana Collection is a sample of her work for the noted Italian designer. It is estimated at 5,000-8,000 and is one of a number of her works in the sale. Eva Hamilton’s Interior with flowers on table also features on the first day of the auction. Known for her portraits, landscapes and watercolours she was represented in the 1930 Exhibition of Irish Art at Brussels. The oil on canvas on the right is estimated at 2,000-3,000. The Sheppards sale, entitled Paradigms and the Unexpected, features jewellery, oriental rugs and carpets, prints, paintings, silver, porcelian and furniture. It takes place on Tuesday and Wednesday, March 1 and 2, at 10.30 a.m. on each day. UPDATE: Sheppards had a successful auction at which about 85 per cent of the lots on offer found buyers.